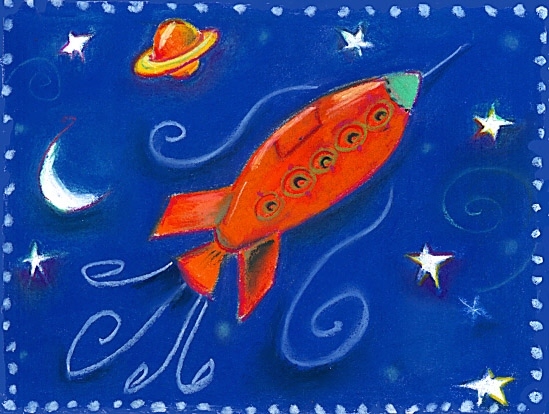 Nine-year-old Bennington Pugh is a spaceship sweep aboard the Penguin. He, his friends, and his little brother Max begin the adventure of a lifetime when humans make contact with an alien species for the first time. Benny's suspicions are aroused when he sees strange people in an off-limits area of the Penguin. Something is not right on his ship. Footsteps thumped down the bare passageway. Bennington Pugh stepped back into the maintenance shaft where he had been working and closed the grate. Never be seen, never be heard was an important rule for spaceship sweeps like him. If Commander Harkin, the first officer, could make them invisible, she would. But, nothing in the rules said he couldn’t watch. Benny looked through the slits in the grate. The sight of five people walking down the passageway made him frown. They looked like passengers. Why were they here? Passengers were not supposed to use this deck on this trip. He listened, but he could not understand anything they said. The language they spoke was not Earth Standard. With his nose pressed against the grate, he studied their unfamiliar faces. It wasn’t surprising that he didn’t know them. As one of the spaceship sweeps on board the Penguin, Benny did not see passengers very often. He was too busy with his job and school. The sweeps were responsible for keeping all the ship’s shafts, tubes, pipes, vents, and flues clean. They also had to fix equipment in those small spaces because most adults couldn’t fit in them. Benny knew the name sweeps came from the Old Earth term for people who cleaned chimneys. He was glad he didn’t live then. Chimneys had been dirty and dangerous. The Penguin’s shafts and other small spaces were made of metal and were brightly lit. He crawled a lot of the time and worked in very tight places, but Benny liked his job. He liked hearing the Penguin’s engines hum through the shafts. Sometimes it almost felt like the ship was talking to him. On this trip, the Fitzwilliams, an important family from Planet Hanna, were on board. They were traveling to New Moon to meet someone from another species called the Chinders. Although people from Earth had known about the Chinders and communicated with them for many years, this would be the first time anyone actually saw them. Benny heard that some people thought the Chinders were going to be too different to be friends with humans. The Fitzwilliam family didn’t think the Chinders would be too different. In fact, they paid a lot of money to travel on the Penguin to meet the Chinders. That was why there weren’t as many passengers on the ship as usual, and why this deck was not being used. Benny stared at the strangers. He did not think they belonged to the Fitzwilliam family. The strangers passed right in front of him. Their voices rose angrily. He heard the word Penguin and realized they must be talking about the ship. Then he heard the name Finn. Finn was one of the ship’s engineers. Benny frowned. He had a lot of questions. Only one thing was certain. The strangers did not sound very happy. A sour smell reached Benny’s nose. It was a smell that came from the Dirts, which was what he called people who lived on planets. He knew he shouldn’t use the word. It was not considered polite. But, whatever he called them, they smelled. Ship folk like him didn’t smell that bad. The strangers turned the corner. Benny climbed out of the shaft and put the grate back. He could still hear the sound of their footsteps. They were not trying to be quiet. Should he tell someone that they had been on this deck? An important part of the sweeps’ job was to pay careful attention to everything around them. If they noticed anything that looked, or sounded, or smelled unusual, something might be wrong with the ship. More than one quick thinking sweep had saved a ship from disaster. Benny often dreamed about saving the Penguin. True, he was only nine, but he watched very carefully for any sign of danger. Once he reported seeing frayed wires. If they had been part of an important system, he might have received an award. However, the wires were only part of the toilet system. Still he noticed. That was a start. What about now? Should he follow these people? He thought about what he knew. 1. They were on a deck that wasn’t being used. 2. They didn’t speak the Standard. 3. They sounded angry. 4. They smelled bad. All right, maybe that didn’t count. All Dirts smelled bad. Benny made up his mind. He followed the strangers quietly. When the passageway met the ship’s main walk, he paused. Where would the strangers go? He peered around the corner. They stood in front of the lift. They were going to another deck. This was deck 8. Above his head were decks 1 through 7. Below him were the crew quarters on deck 9 and engineering on deck 10. The strangers probably would not go down. But they might go to any of the upper decks, except for the ship’s bridge on deck 1 which was off limits. Benny peered around again. The lift’s doors opened. As they closed on the strangers, he walked around the corner and stared at the numbers above the door. Maybe he could find them if he got to their deck in time. When the number five stayed lit, Benny headed toward the nearest shaft.